Good Night Captain Mama / Buenas Noches Capitán Mamá is the first bilingual children’s picture book teaching young children (ages three to eight) why women and mommies wear military uniforms and serve in our nation’s armed forces. It debuted on the Amazon bestseller lists at the #1 spot in both “Hot New Releases” list for Children’s Hispanic/Latino books AND Children’s Military Fiction categories. In addition, it made the Bestseller lists in both categories, reaching #10 and #21 respectively. See reviews here. 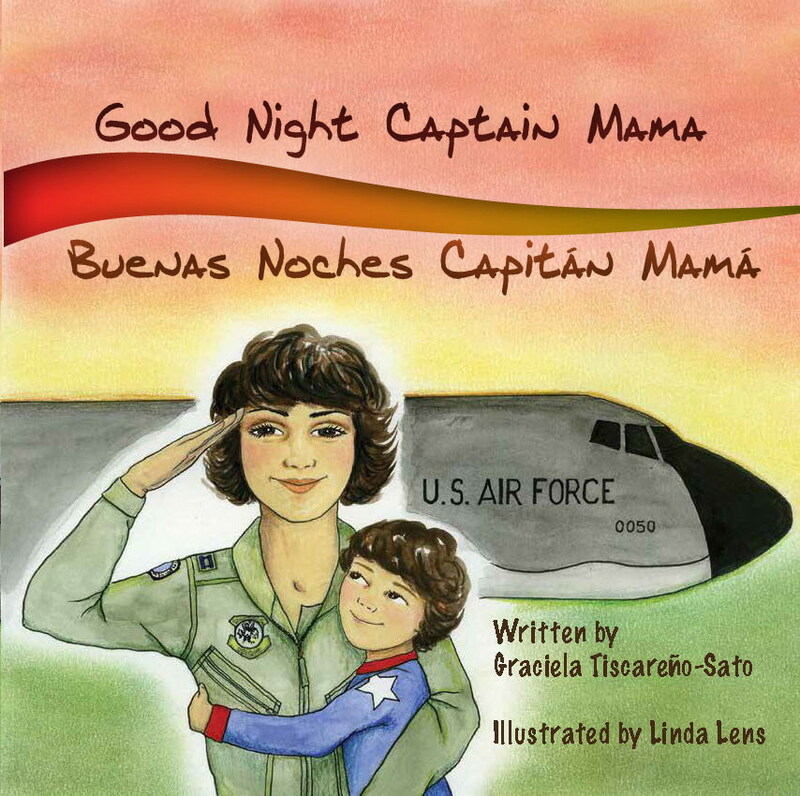 "Good Night Captain Mama" is the first bilingual (English and Spanish) children's picture book about why women and mommies serve in the U.S. military. Created for children between the ages of three and eight. Printed in the USA. As Jon Pece’s aunt I am proud of all his accomplishments! From “field trips” to airports when he was quite young, to following his Air Force career, I always look forward to his next “adventure.” I plan to donate your book to our local school library; that is, after I read it! Personal best wishes for great success! Thanks for your comment. Jon is a dear friend; he joined the squadron about a year after I did at Fairchild Air Force Base. We deployed to the UK, Turkey and Saudi Arabia together (on the same crew to the UK for his first deployment.) I’m lucky to still call him friend after all these years. Even more so, extra lucky that he recently visited my family in California and my children were about to meet him. 🙂 I too can’t wait to see what he does next!